Incretin effect—the potentiation of glucose-stimulated insulin release induced by the oral vs the i.v. route—is impaired in dysglycaemic states. Despite evidence from human islet studies that NEFA interfere with incretin function, little information is available about the effect in humans. We tested the impact of acute bidirectional NEFA manipulation on the incretin effect in humans. Thirteen individuals with type 2 diabetes and ten non-diabetic volunteers had a 3 h OGTT, and, a week later, an i.v. isoglycaemic glucose infusion (ISO; OGTT matched). Both pairs of studies were repeated during an exogenous lipid infusion in the non-diabetic volunteers, and following acipimox administration (to inhibit lipolysis) in people with diabetes. Mathematical modelling of insulin secretion dynamics assessed total insulin secretion (TIS), beta cell glucose sensitivity (β-GS), glucose-induced potentiation (PGLU) and incretin-induced potentiation (PINCR); the oral glucose sensitivity index was used to estimate insulin sensitivity. Lipid infusion increased TIS (from 61 [interquartile range 26] to 78  nmol/m2 on OGTT and from 29 nmol/m2  to 57 nmol/m2  on ISO) and induced insulin resistance. PINCR decreased from 1.6 [1.1] to 1.3 [0.1] (p < 0.05). β-GS, PGLU and glucagon, glucagon-like peptide 1 (GLP-1) and gastric inhibitory polypeptide (GIP) responses were unaffected. Acipimox (lowering NEFA by ~55%) reduced plasma glucose and TIS and enhanced insulin sensitivity, but did not change β-GS, PINCR, PGLU or glucagon, GLP-1 or GIP responses. As the per cent difference, incretin effect was decreased in non-diabetic participants and unchanged in those with diabetes. Raising NEFA selectively impairs incretin effect and insulin sensitivity in non-diabetic individuals, while acute NEFA reduction lowers plasma glucose and enhances insulin sensitivity in people with diabetes but does not correct the impaired incretin-induced potentiation. Brenno Astiarraga and Valéria B. Chueire contributed equally to this study. The online version of this article ( https://doi.org/10.1007/s00125-018-4633-z) contains peer-reviewed but unedited supplementary material, which is available to authorised users. Previous studies in vitro [1, 2] and in intact animals  have consistently shown that acute exposure to NEFA results in a substantial increase in both basal and glucose-stimulated insulin secretion (GSIS). Studies in humans, however, have yielded contrasting results. Acute (3–12 h) lipid infusions in normal participants have been reported to have no effect , to increase [5, 6, 7] or to inhibit  GSIS. 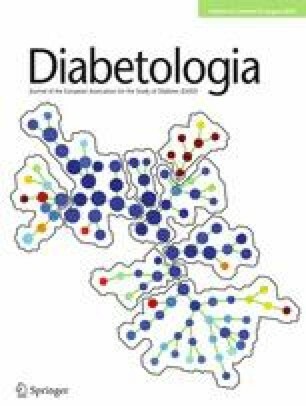 In participants with  or without  family history of type 2 diabetes, a physiological rise in NEFA induced a mild deterioration of beta cell function, which was more evident when insulin secretion was examined in relation to the prevailing insulin resistance. In the same individuals, lowering plasma NEFA with acipimox was associated with an improvement in the acute insulin response to i.v. glucose [10, 11]. Different approaches to assessing GSIS, different types of test, adjustment for the insulin sensitivity and genetic predisposition might influence the controversial results, as reviewed by Giacca et al . Incretin-mediated insulin secretion accounts for about 40–80%  of total insulin secretion (TIS) in response to an oral stimulus and is impaired in type 2 diabetic individuals and in those with some degree of glucose intolerance [14, 15, 16, 17]. However, surprisingly little information is available on the effect of NEFA on incretin-stimulated insulin secretion in humans, despite recent evidence in human islets that NEFA might interfere with incretin function [18, 19]. We designed this study to test: (1) whether incretin-induced potentiation of insulin secretion is reduced by acute elevation of plasma NEFA levels in healthy volunteers; and (2) whether, in participants with type 2 diabetes, the impaired incretin effect can be improved by an acute reduction in circulating NEFA. The incretin effect was measured as the potentiation of glucose-induced insulin release selectively caused by the oral vs i.v. glucose route of entry. Plasma NEFA levels were acutely raised in non-diabetic volunteers through an i.v. lipid infusion and lowered in type 2 diabetic participants by the administration of acipimox. The study was carried out at two centres (University of Pisa, Italy, and State University of Campinas, Brazil). Fifteen individuals with type 2 diabetes treated with diet or stable doses of metformin were recruited from the outpatient clinic of the Catholic University of Campinas and State University of Campinas. Inclusion criteria were: age 18–60 years, HbA1c 47.5–85.8 mmol/mol (6.5–10.0%), BMI <40 kg/m2, no other endocrine disease, no clinical evidence of neoplastic or chronic inflammatory disease, or major organ (liver, kidney, heart, pulmonary) failure. Two participants with diabetes were excluded: one dropped out after the first test, the other was excluded at the end of the study when it was realised that the participant had an HbA1c of 42.1 mmol/mol [6.0%], lower than the lower limit of the protocol; thus, 13 diabetic individuals were included in the final analysis. Ten healthy volunteers were enrolled at the University of Pisa. Participants gave their informed consent, and the study was approved by the Ethics Committees (Protocol number 23474 at the Pisa centre; Certificate of Presentation for Ethical Appreciation, CAAE, 48181215.2.0000.5404 at the Campinas centre). The anthropometric and metabolic characteristics of the study participants are summarised in Table 1. All participants had two control tests, a 3 h OGTT (75 g) and, on a separate occasion ~7 days later, a 3 h isoglycaemic glucose infusion (ISO) using an ad hoc algorithm to exactly reproduce the glycaemic curve observed during the OGTT (isoglycaemic protocol). In the healthy volunteers, both tests were repeated during an i.v. infusion of a 20% (vol./vol.) lipid/water emulsion (60 ml/h) together with a primed (200 U) continuous (0.4 U kg−1 min−1) heparin infusion, started 2 h before either test (lipid infusion/OGTT [L-OGTT] and lipid infusion/ISO [L-ISO]). In participants with diabetes, the two tests were repeated after the ingestion of acipimox (Olbetam, Pfizer, Rome, Italy) (250 mg) 2 h before glucose administration and 1 h into each study (OGTT following acipimox [Acp-OGTT], ISO following acipimox [Acp-ISO]). Fat-free mass was measured by electrical bioimpedance at both sites. Bedside plasma glucose concentrations were measured at 10 min intervals throughout the studies using the glucose oxidase technique (YSI 2300 Stat Plus Glucose Analyser, Yellow Springs, OH, USA, at the University of Campinas; Beckman Glucose Analysers, Fullerton, CA, USA, at the University of Pisa); plasma insulin and C-peptide concentrations were all measured by chemiluminescence (on a COBAS e411 instrument, Roche, Indianapolis, IN, USA). In both centres, total plasma glucagon-like peptide 1 (GLP-1) and gastric inhibitory polypeptide (GIP) were assayed using the same ELISA kit (Merck Millipore, Billerica, MA, USA), plasma NEFA by a standard colorimetric method (WAKO Chemicals, Neuss, Germany), and plasma glucagon by ELISA (RD System, Minneapolis, MN, USA; Campinas) and by Mercodia Glucagon ELISA (Mercodia, Uppsala, Sweden; Pisa). Insulin sensitivity was estimated from the plasma glucose and insulin responses to oral glucose using the OGTT-derived index of insulin sensitivity (OGIS) . AUCs were calculated using the trapezoid rule. Plasma C-peptide deconvolution was used to calculate insulin secretion rate (ISR) and TIS, and mathematical modelling to quantify beta cell function and the incretin effect . The main variables in the beta cell model are glucose sensitivity (β-GS), i.e. the slope of the ISR/glucose dose–response curve obtained during the ISO test. Glucose-induced potentiation (PGLU), a time-dependent modulation of the dose–response calculated during the ISO test, was parameterised as the ratio of the value at 3 h to the fasting value; incretin-induced potentiation (PINCR) was calculated as the time-dependent fold ISR increment during OGTT compared with ISO glucose, and was parameterised as its integral over the 3 h of the tests. The incretin effect was also calculated using conventional model-independent indices (per cent difference ([(OGTT TIS − ISO TIS)/OGTT TIS] × 100) and the ratio (OGTT TIS/ISO TIS) between oral and i.v. glucose insulin secretory response), as described by Nauck et al [13, 14]. Data from healthy participants and those with diabetes were analysed separately. Within-group treatment responses were analysed by paired t test or Wilcoxon signed rank test for normally or non-normally distributed variables, respectively. A p value ≤0.05 was considered statistically significant. While plasma NEFA levels were markedly suppressed during saline (154 mmol/l NaCl) infusion, exogenous lipid infusion increased mean plasma NEFA from 0.20 ± 0.08 to 3.55 ± 1.29 mmol/l during the L-OGTT, and from 0.23 ± 0.08 to 3.77 ± 1.10 mmol/l during the L-ISO study (p < 0.001 for both) (Fig. 1a). Correspondingly, mean triacylglycerol rose from 0.7 ± 0.3 to 3.1 ± 1.3 mmol/l and from 0.6 ± 0.2 to 3.2 ± 1.3 mmol/l during the L-OGTT and L-ISO, respectively (p < 0.005 for both). Plasma glucose profiles were matched between the oral and i.v. studies. Lipid infusion caused a marked deterioration of glucose tolerance (glucose incremental AUC 0.44 ± 0.04 vs 0.30 ± 0.03 mol/l × h, p < 0.05) that was particularly evident during the second half of the test (Fig. 1b). As expected, total insulin release was greater with oral than i.v. glucose with both saline (Figs 2a, 3a) and lipid (Figs 2a, 3b); in addition, the relative hyperglycaemia induced by lipid infusion produced an increase in ISR and TIS, which was particularly pronounced (and statistically significant) during i.v. glucose administration (Table 2 and Fig. 2a). Neither β-GS (Fig. 2b) nor glucose potentiation (PGLU) (Fig. 4) were significantly affected by the rise in NEFA, while rate sensitivity was approximately doubled (Table 2 and Fig. 2d) in both the oral and i.v. tests. In contrast, lipid infusion induced a marked decrease in incretin potentiation (PINCR) (Table 2; Figs 2c, 4b), as well as in incretin effect calculated by conventional formulae (Table 2). Response to oral glucose of plasma glucagon (0.76 ± 0.34 vs 0.68 ± 0.25 mol/l × h, OGTTAUC vs L-OGTTAUC, respectively) (data not shown), GLP-1 (7.8 ± 2.2 vs 7.6 ± 2.1 nmol/l × h, respectively) and GIP (9.4 ± 1.1 vs 9.4 ± 1.4 nmol/l × h, respectively) were not different (electronic supplementary material [ESM] Fig. 1). Lipid infusion induced mild insulin resistance (OGIS = 355 ± 28 vs 402 ± 22 ml min−1 m−2, L-OGTT vs OGTT, respectively, p < 0.01). Plasma glucose profiles were superimposable on the paired oral and the i.v. tests. Acipimox administration was associated with a marked decrease in NEFA AUC (55 ± 14%, p < 0.01), which was similar in the oral and i.v. tests (Fig. 1c), and an improved glucose tolerance (glucose AUC = 0.74 ± 0.16 vs 0.90 ± 0.26 mol/l × h, p = 0.04) (Fig. 1d). Lowering plasma NEFA with acipimox reduced TIS during the OGTT, without significant changes in β-GS or rate sensitivity (Table 2 and Fig. 2e,h). Similarly, in the control (Fig. 3c) and the acipimox study (Fig. 3d), insulin secretion was lower in response to i.v. than oral glucose, particularly during the first 2 h of the tests. Neither PGLU (Fig. 4c) nor PINCR (Figs 2g,4d) (or the incretin effect indices [Table 2]) were changed by acipimox. PINCR was ~30% lower in these participants with diabetes than in the control group (p < 0.05). Acipimox administration did not change the AUCs of plasma glucagon (4.58 ± 0.92 vs 4.47 ± 0.63 nmol/l × h) (data not shown), GLP-1 (9.0 ± 3.2 vs 9.2 ± 4.3 nmol/l × h) or GIP (16.9 ± 7.4 vs 16.3 ± 5.5 nmol/l × h) (all p = NS) (ESM Fig. 1). Insulin sensitivity was slightly, but significantly, improved by acipimox (OGIS: 326 ± 44 vs 291 ± 60 ml min−1 m−2, p = 0.01). In the data from the diabetes group, changes in ISR were directly related to changes in NEFA (ρ = 0.62, p = 0.03). In this study, we show that the acute effects of NEFA on insulin secretion are asymmetric. While in non-diabetic volunteers NEFA elevation caused a marked impairment of incretin-induced potentiation, in individuals with type 2 diabetes the impaired incretin effect was not improved by acutely lowering plasma NEFA. Of note, in the non-diabetic participants raising NEFA induced all the expected metabolic changes [9, 22]: mild deterioration of glucose tolerance and insulin sensitivity, increased insulin secretion and enhanced early insulin response (i.e. rate sensitivity) without any changes in β-GS. Conversely, acipimox administration in diabetic participants was associated with reduced insulin secretion and plasma glucose excursions and improved insulin sensitivity, but neither beta cell glucose sensitivity nor incretin-induced potentiation was changed. Of interest is that the effects of plasma NEFA modulation were observed in both the oral and i.v. tests; this rules out a role for the entero–insular axis or the taste receptors/cerebral–insular axis. In support of this, neither lipid infusion nor acipimox was associated with any changes in plasma glucagon, GLP-1 or GIP responses in the participants with or without diabetes. The absence of short-term changes in gut hormones agrees with studies in normal volunteers subjected to 1 week of high-fat overeating, in whom glucose tolerance deteriorated, plasma insulin increased but GLP-1 and GIP responses were not modified . Taken together, these findings make it possible to conclude that the direction of the impact of NEFA on incretin effect depends, essentially, on beta cell function: raising NEFA can impair the incretin effect on a normal beta cell but lowering NEFA cannot rescue the incretin effect on a dysfunctional beta cell. In line with the latter result, lipid-induced impairment of beta cell function is not observed in frankly diabetic animals or humans . Obviously, our conclusions apply only to acute changes in NEFA concentration and to the experimental conditions created by these protocols, i.e. they provide proof of concept. In the longer term, the impact of NEFA on beta cell function may be more heterogeneous. For example, Kashyap et al  reported that in normal participants a prolonged (4 day) lipid infusion led to mild meal-induced hyperglycaemia and insulin hypersecretion, which was associated with a marked improvement in first-phase insulin secretion. In contrast, opposite responses were observed in individuals with a family history of diabetes . However, in a similar study, 48 h acipimox treatment improved the acute insulin response to i.v. glucose in individuals with a family history of type 2 diabetes . It must be observed, however, that these studies did not directly assess the incretin effect, which, by definition, requires performing an isoglycaemic protocol. On the other hand, it is pertinent to recall that chronic treatment with a dipeptidyl peptidase IV (DPP-IV) inhibitor, sitagliptin  or metformin , in diabetic individuals did not improve the incretin effect. The current results align with those of a previous study carried out in a large cohort of non-diabetic individuals , which indicated that relatively higher NEFA levels, such as are typically found in type 2 diabetic individuals, are associated with enhanced absolute ISRs and reduced insulin action, but they do not interfere with β-GS, which is the strongest determinant of glucose tolerance. Several cellular mechanisms may be involved in the impairment of incretin function caused by NEFA exposure. Kang et al reported that, in rat insulinoma INS-1E cells and in isolated islets of db/db mice, palmitate decreases the expression and levels of the GLP-1 receptor; this was associated to impairment of: cAMP production, protein phosphorylation of cAMP-responsive elements binding protein (p-CREB) and insulin secretion . A recent very elegant study investigated the effect of palmitate on the recruitment, by GLP-1, of the beta cell network, which is essential to synchronise rapid increases in glucose-induced insulin secretion. Gap junctions in human beta cells, through connexin 36 (Cx36), are important for incretin-stimulated but not for GSIS . In these human islet preparations, palmitate reduced Cx36 expression and the coordinated secretory activity in response to GLP-1 and GIP, thereby reducing insulin release. Thus, elevated NEFA might disrupt the GLP-1-sensitive syncytium. Chronic mechanisms may involve accumulation of malonyl-coenzyme A (CoA) and long-chain fatty acyl-CoAs, increased fatty acid esterification and activation of endoplasmic reticulum stress in beta cells (reviewed in Giacca et al  and Poitout and Robertson ). Decreased free fatty acid receptor 1 (GPR40) expression in the beta cell, or its downregulation by NEFA, may contribute to the impaired incretin action observed in diabetes. It is noteworthy that our diabetic participants had higher fasting glucose and marginally higher fasting NEFA concentrations (700  vs 588 , p = 0.12), a combination that seems to be synergistically toxic to islets , where it downregulates GPR40 expression in all cell types . Similar insulin secretion impairment was observed in human islets exposed to palmitate or oleate for 48 h . GPR40 is highly expressed in islets from young normoglycaemic, hyperlipidaemic and prediabetic Zucker diabetic fatty (ZDF) rats (fa/fa) even before diabetes development . Furthermore, in rats maintained under hyperglycaemic conditions for 96 h, GLP-1 receptor expression is reduced, and GIP receptor expression is increased . While these mechanisms, alone or in combination, may underlie the effect of raising NEFA into the millimolar range we observed in our non-diabetic participants, a role for the mild but chronic NEFA elevations, commonly found in individuals with type 2 diabetes, to the loss of incretin effect remains to be conclusively demonstrated. The absence of changes in gut hormones across our NEFA manipulations implies that an impaired incretin effect—whether induced in non-diabetic participants or spontaneous in diabetes—is coupled with a degree of cellular resistance to incretins . Interestingly, in a recent study in type 2 diabetic individuals, the clinical efficacy of liraglutide, a GLP-1 receptor agonist, was related to the baseline plasma triacylglycerols and C-peptide levels . These studies were carried out in two centres and the general phenotypes of the two participant groups were different. We chose a very healthy group to test the effects of NEFA, and typical individuals with type 2 diabetes to evaluate a possible improvement in incretin effect after NEFA reduction. The results were not meant to be compared across groups but within groups. Another limitation is the sample size, but the incretin effect, i.e. the main outcome variable of the protocol, was very different after lipid infusion in the non-diabetic participants, and very similar after acipimox ingestion in the diabetic participants. On the other hand, this is the first study to evaluate the effect of NEFA on the incretin effect in humans with an appropriate protocol. The mathematical model yielded the dynamic characteristics of beta cell function, including the time course of glucose potentiation and the incretin potentiation of insulin secretion. We warmly thank F. K. Saraiva and S. Rodovalho, Faculdade de Medicina, Pontificia Universidade Catolica de Campinas, for their valuable collaboration. We also thank LC Oliveira and RF Castilho from the Department of Patologia Clinica at the University of Campinas for the laboratory assays. The results were presented at the EASD 2017 Annual Meeting as oral presentation 197 and poster 512. EF, EM, AN and BA designed the protocol. VBC, EM, ALS, BA, RP-M and SMA performed the experimental studies, and acquired the data and participated in its interpretation. VBC, BA and EM wrote the manuscript. AM and AT performed the mathematical modelling. EF and AN discussed and revised the manuscript. All authors reviewed the manuscript critically and approved the final manuscript version. EF and EM are the guarantors of this work. European Foundation for the Study of Diabetes (EFSD)/Sanofi Collaborative Program 2015 award to EM; partial support was also provided by a European Medical Information Framework (EMIF) grant (IMI JU GA 115372-2) for Pisa participation. The study sponsors were not involved in: the design of the study; the collection, analysis nor the interpretation of data; writing the report; nor the decision to submit the report for publication.